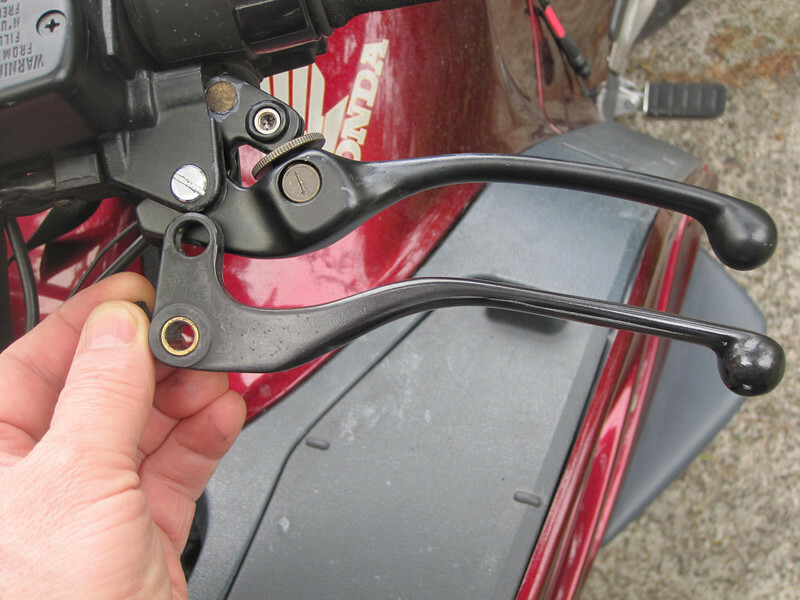 Comparison between stock non-adjustable clutch lever and adjustable VFR lever. The grey looking substance around the removable pivot point is Honda Moly paste. While the photo makes it seem that the stock lever is longer, they are really comparable in size. I really like this modification as the clutch engagement point can now be varied.